The cultural and business tie between China and Canada is growing stronger every day. Toronto, Being one of the most vibrant cities in Canada, more and more people wish to learn or to improve Chinese for personal, business reasons or both. At Yao Mandarin School Toronto, we make learning Chinese easy and efficient for you. Yao Mandarin School is dedicated in providing the highest standard of Chinese language teaching in Greater Toronto Area (GTA). A variety of Chinese classes and tutoring sessions are offered for business and personal learn Chinese purposes in and around Toronto area. We also offer Group Chinese classes, Private instruction (one-on-one) and Chinese executive training program. With Yao Mandarin School Toronto, we make sure that your Chinese learning goal is successfully achieved. No matter if you are at absolute beginner level, intermediate level or advanced level, we will find the right approach and develop the optimal curriculum in helping you achieve your Chinese learning goal. 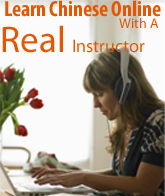 Absolute Beginners Chinese study incorporates the Quick Mandarin: 30 Hours program, a lesson plan specifically designed by Yao Mandarin School's founder Yao Zhang. Adhering to the Quick Mandarin: 30 Hours program will enable you to acquire the essential aspects of the language and be functional in conversational Chinese in 30 hours. Learn Chinese with Yao Mandarin School Toronto is your best choice in Toronto. Executive Level Training is offered toward business professionals wishing or currently are conducting business with China or overseas Chinese speaking community. We understand that a successful business depends on exceptional communication abilities. It is crucial that business executives master the intricate speech tones and grammatical pronunciation of the Chinese language to prevent their intentions from literally being lost in translation. Using the Yao Mandarin School's program as the basis of training, you will quickly master the essential elements of the language. If you or your company needs to learn Chinese, please contact us, Yao Mandarin School is the best place helping you in learning Chinese quickly and efficiently. Contact us today to set up an appointment with our instructor for a risk free assement. Yao Mandarin School Toronto Provides premium Chinese translation services. Learn Chinese in a Toronto Chinatown restaurant, with delicious food!